WASHINGTON — Virginia will begin the process to remove the Confederate flag from state-issued license plates, Gov. Terry McAuliffe announced Tuesday, calling the emblem divisive and hurtful. McAuliffe said that a recent U.S. Supreme Court ruling allows states to decide which emblems to allow or not allow on license plates. He said that the decision supersedes previous federal court rulings that required Virginia to issue Sons of the Confederate Veterans plates that include the iconic image of the red and blue flag. His announcement comes as the governor of Maryland and national retailers take strides to similarly remove the emblem and a day after South Carolina Gov. Nikki Haley called for the removal of the Confederate flag from the grounds of the state’s capitol in Columbia. Virginia does not fly the flag of the former confederacy at its state capitol in Richmond, once the capital of the South. 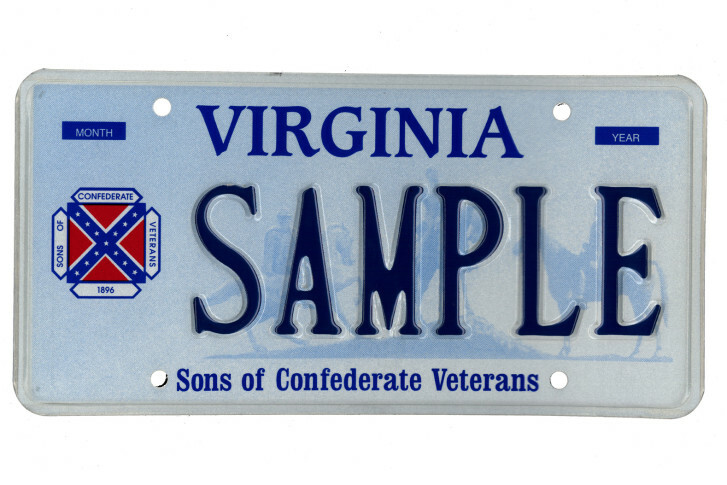 But in 1999, the General Assembly allowed specialty license plates for the Sons of Confederate Veterans. Although the legislation attempted to prevent the flag from being displayed on these plates, a court injunction forced the state to allow a depiction of the banner. In light of the Supreme Court ruling, the Virginia Attorney General’s Office says that the state will likely have to go back to court and ask a judge to release the state from that 2002 injunction. As of the end of May, the Virginia Department of Motor Vehicles had issued 1,594 of the plates. Last week, the U.S. Supreme Court upheld Texas’ refusal to issue a license plate displaying the flag and rejected a free-speech challenge. The court found that Texas can limit the content of plates because they are state property. In Maryland, Gov. Larry Hogan is “against the use of the Confederate flag on Maryland license plates. Our office is working with the Motor Vehicle Administration and the Attorney General to address this issue,” a spokeswoman for the governor says in an email to WTOP. Other elected officials in Maryland, including Baltimore Mayor Stephanie Rawlings-Blake and Prince George’s County Council Chair Mel Franklin, are also calling for the flag to be removed from Sons of the Confederate Veterans plates offered by the MVA. Currently 151 vehicles and 27 motorcycle Sons of Confederate Veterans plates are active, says Motor Vehicles Administration spokesman Buel Young. Retailers including Sears and Wal-Mart have announced that products that feature the flag would no longer be available for purchase.